I had the great pleasure of speaking with the lovely and talented Rose Byrne at the junket for ‘Instant Family.’ Bryne and I had a very passionate conversation about her role as Ellie in the film as well as what her experience was like working on a film about foster care and adoption. Byrne told me a lot about her experience working on this film including several stories of those she met on set while being part of this exceptional film. Scott Menzel: Hi Rose, how are you? Rose Byrne: Good, how are you? 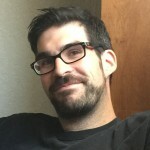 Scott Menzel: Not too bad, happy to be talking to you! First, a big congratulations because you’re having one hell of a year. Rose Byrne: (Laughs) Right! You’re so sweet, thank you. 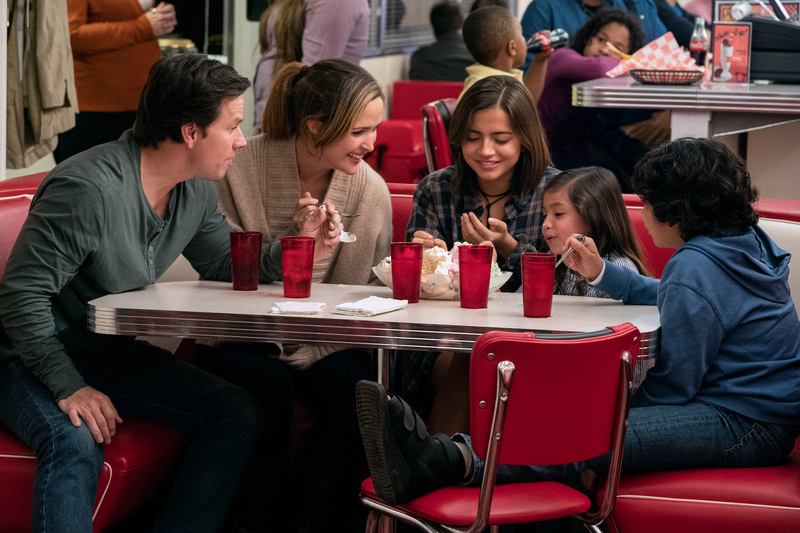 Scott Menzel: We’re going to talk about ‘Instant Family’ because its amazing and I loved it. But I want to give a shout out to ‘Juliet Naked’ which you were also great in. I saw earlier this year at Sundance. Rose Byrne: Thanks, thanks so much, yeah, I’m really proud of that film. It’s such a delight to watch. Scott Menzel: Yeah, it really is, and I love that you got to work with Chris and Ethan on that, and they’re just so different, but you all work together so well. Rose Byrne: So different, I know. People have really enjoyed it whenever they’ve seen it, they’ve lit up when they talk about it. 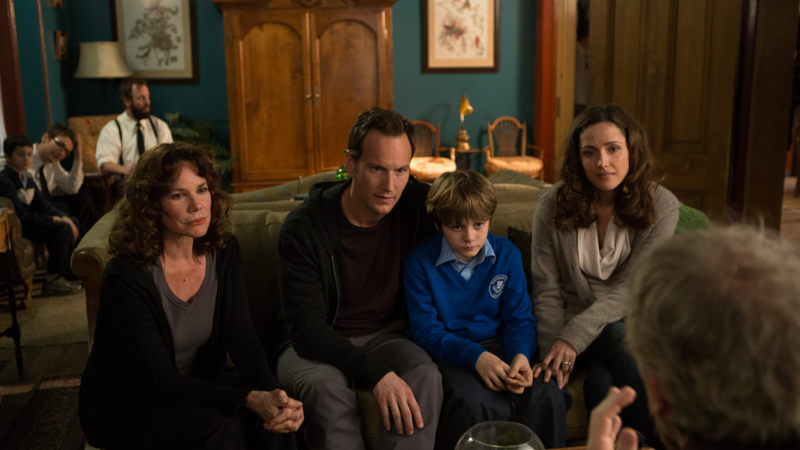 Scott Menzel: So, ‘Instant Family’. I want to tell you that I talked to Sean a little bit earlier today and I was telling him that I haven’t had this type of reaction towards a film in a very, very, very long time. Scott Menzel: It was so emotional and so powerful. I loved every minute of it, and I hope that it does incredibly well. Rose Byrne: Me too, thanks. Thanks so much, it’s about something much bigger, you know, so it’ll be great if it is really embraced and people come together to see it. Scott Menzel: Yeah, and that kind of leads me to this. I know you’re a mum. I know that you just gave birth about a year ago. Playing a character like this, and I’ve noticed you’ve been doing more family films as of late, like ‘Annie,’ and ‘Peter Rabbit’, and now you did this one. How much of that for you, is you playing the mum role in your own life, especially with this film? Rose Byrne: It’s a combination of what comes your way, and what doesn’t come your way, of course, like just in the business in general, and then I guess really wanted to do different things, you know? And with ‘Peter Rabbit’ and ‘Annie,’ I was like, I haven’t done kids movies before, let me try that like that’s a great genre, and it can be really fun. And then ‘Instant Family’ as you know, I’d just had my kid, I was in such a fog, I was like I don’t want to go back to work. I don’t want to read this script. Rose Byrne: Yeah, absolutely. I was breastfeeding, and I had a newborn. I was vulnerable, exhausted and I was like, “I can’t go back to work.” And then I was like, oh dear, oops, I’m going to have to do it. (Laughs) This is amazing, this is about something much bigger than me, and I just realized that this was something I hadn’t seen before, too. I mean, the subject’s obviously been done a lot, but rarely with, this kind of, hope. And the movie has got a lot of hope. Scott Menzel: It really does. So, I figured I should give you some context. I’m the only natural child in my family. I have grown up in a household where we had foster children throughout my entire life. Scott Menzel: I actually have six adopted brothers. Rose Byrne: Oh my goodness, that’s an extraordinary story. Wow. 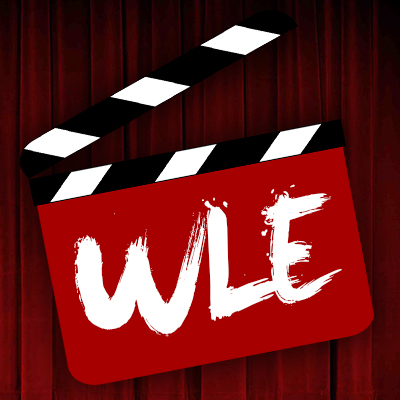 So what did you think of the movie? Scott Menzel: I thought it was incredible. We always talk about nostalgia, right? Like with Star Wars, or big franchises and stuff like that. But this was personal nostalgia and very emotionally effective nostalgia. There were certain scenes in the film, like the courtroom scene, reminded me of my past. We went through that and to see that in this movie was just amazing and brought back such strong memories. Rose Byrne: Wow, to hear you say that is really incredible. My biggest fear is meeting people who are or have experience with this community and adoption and everything and how they react, I know it’s the same for Sean too, so that’s really so great that you were affected by it. I’m like, oh my goodness, you’re just touching a raw nerve in a good way about life. Rose Byrne: Yeah, I know. Scott Menzel: For you, going into filming this, how much did you know about the process of adoption? Did you know anyone who has adopted kids before, or are foster parents? Rose Byrne: I have a couple of very close friends who adopted, so I definitely knew a bit about that. One Australian, one English. But I knew very little about the foster system in America. I’m Australian, and I’ve been here for ten years, but I was very naïve, so it was like, “okay, I’m a detective, let’s see. How do I find out what this is?” And so I met with social workers, I met with parents who’d fostered, who had adopted, who had had biological and who had fostered. We had a terrific consultant on the movie, Maraide Green, who had been in the system as a child and then was adopted when she was 13. She was a great resource, so yeah, it was really like uncovering a whole new thing I didn’t know about. Scott Menzel: Yeah, it’s incredible how big of a process it is here in the states and to go through everything, and how selective they are. The fact that the film highlights the hard truth about how teenagers are often neglected in the foster care system was very brave of Sean to point out. Scott Menzel: Yeah. You were talking a little bit about the people who you knew and who you worked with on this film, but Sean mentioned that when preparing for the role, you actually worked alongside his wife, Beth. Can you talk a little bit about that and what you learned from her? Rose Byrne: Beth was brilliant. She’s very shy and not an attention seeking person by any means. She’s very private and shy, and she was kind enough to meet with me, and be patient, and she brought notes and pictures and answered all my crazy, nosy questions, and was very cool about it. And she didn’t need to be, she was kind of thrust into this whole thing, in terms of the movie and talking to an actress, so she was really cool. And it’s funny; I think Ellie is an interesting character. She’s very impulsive, she’s kind of irrational at times and hot-headed, and in a way, I’ve kind of realized she’s more like Sean really than Beth. Beth seems quite steady and calm, and Sean’s fiercer, you know? And sensitive and stuff, and I feel like Ellie is kind of quite similar to him in many ways, so it was great, they were so open about their experience, and I just trusted him with the whole tone and everything, cause it is scary. Like how are you going to make a comedy about this? I’m so sensitive, and I don’t want to upset people. I don’t know if I could have done it without Sean having been through it and saying, “No, I want this movie to be successful, I want it to be full of hope and joy and to take the stigma away.” Which I don’t need to tell you, I mean, gosh, you must know all of this so much already. It’s extraordinary your family did that. Scott Menzel: Absolutely, since you brought this up, I want to be honest with you, I’m worried about this film too because I feel like the marketing does not capture what the movie’s about. Scott Menzel: It looks like ‘Daddy’s Home,’ and it’s not that at all. (Laughs) And I’m kind of concerned because I know this is coming out against another major family film, and I don’t want people to write this movie off because I think it’s truly exceptional and important. Rose Byrne: Mm-hmm (affirmative), yeah. It’s true. It’s a hard thing to necessarily capture in marketing, and I agree, as I’m also like, please don’t let it be ignored because it’s actually really moving. 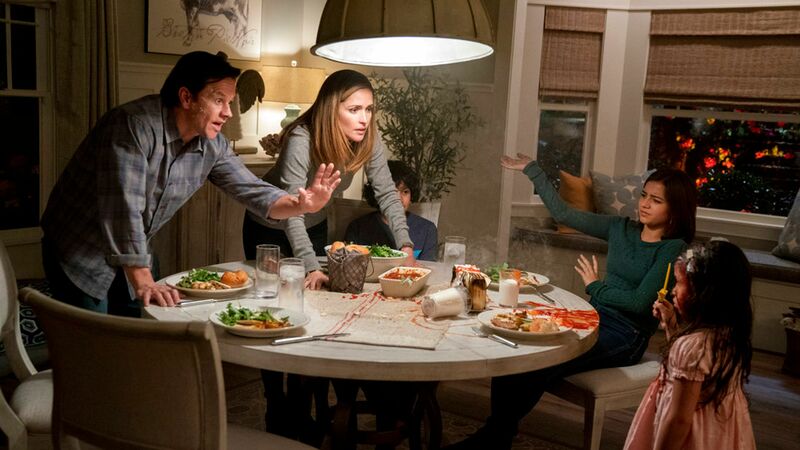 And it’s not wacky like ‘Daddy’s Home’ at all, no, it’s really more like a James L. Brooks film or something. It’s very moving and funny and emotional. Scott Menzel: I just want it to do well, I really do. I’m going to be a cheerleader for this movie because I just related to it so much. Scott Menzel: The families in this film, I heard it’s kind of pieced together from different stories and what not, but what was also interesting was that a lot of the families actually visited the film set. Rose Byrne: We did, yeah! Lori Hernandez, a fantastic foster parent who has fostered several kids, she came. She was actually an extra in the scene at the group therapy sessions. She’s brilliant. And funnily enough, Tiffany Haddish came to set, and she’s brilliant. You know she was in the system from when she was 13-18 I believe. And we’re actually now working together. But she came to set, and she talked to Sean, and I know she had read it before and nearly did a part in it or something, I think maybe they were talking at one point about trying to make it work. So we did, we had a lot of people coming to set. Maraide Green, like I said, our consultant. Allison Maxim, a fantastic social worker who worked with kids in the system for 30 years, she came. And we had an incredible woman, oh my goodness I’m going to forget her name, who started one of the original foster programs in Southern California. I will get her name for you. I met her I remember with Allison, and that was incredible to meet this woman who’s basically changed the life of thousands and thousands of children. Scott Menzel: Everything I hear about this film from talking to you, talking to Sean, it’s just a remarkable experience for everyone involved. Was there any story from anyone you met that you were most affected by, or a story that really spoke to you personally? 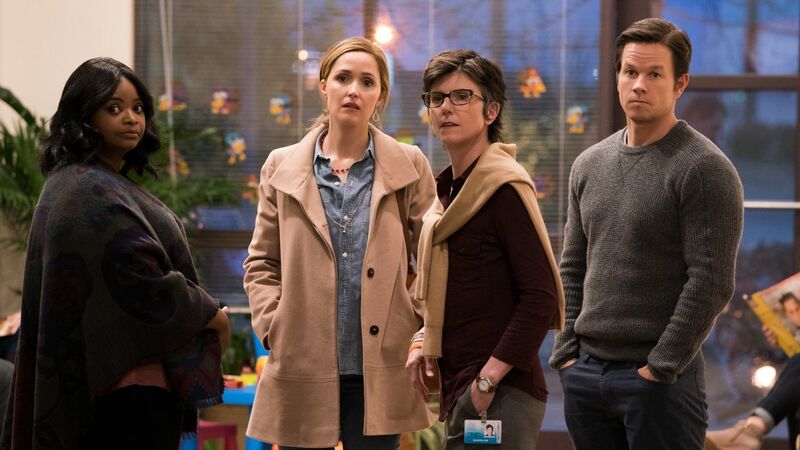 Rose Byrne: Many, I mean, you know I remember speaking to one parent, a lot of the parents are teachers often, because it’s often students at the school who are put in the system, and the whole thing unfolds before them. That was really interesting, hearing about it from their perspective. And a lot of the parents, how hard it is when the child goes back to their biological parent and how that can often backfire, and the attachment they get to the children, and they fall in love, and they’re part of their family, and then they have to return them to their biological parent because the state makes it always a priority to keep the kids with the biological parents. Which is great, but it’s complicated, you know? So that was really, really heartbreaking to hear about that. So tough. Just the small milestones they’ve had along the way with kids, of them letting them in more and more and more, and what is revealed and what they’ve been through. I mean, it’s heartbreaking. Scott Menzel: Yeah. I will tell you; we’ve had so many different types of kids in our household. And it was pretty fascinating because you see all this stuff from when kids get taken away from their parents for things like drugs or abuse. There are certain situations where children actually reject being in a foster home, and there are kids who just don’t want to be there or just have been in the system so long that they just can’t adapt to a new setting. You have those situations and like you brought up there are the cases where a family fosters a child or children, and they plan to adopt them and then all of a sudden out of nowhere their natural parent comes back and says “Hey, I want my kids back,” and that is incredibly difficult. Rose Byrne: Yeah, I can’t even imagine. Yeah, and I would say to these parents, “You’re saints, how do you do this? You’re so brave,” and they didn’t love that, they’re like “No, I’m not, I’m actually just a normal person, and it’s really hard. Not a saint.” And I’d be like, alright, okay. You know? And that was really interesting. I feel like it took away from the reward of the kids, and how the kids are great, you know what I mean? I don’t think you have to be a saint to do something like this, and you just have to be compassionate. Rose Byrne: Mm-hmm (affirmative). Yeah, I know. Scott Menzel: Going through your career, you’ve worked with so many brilliant people over the years. 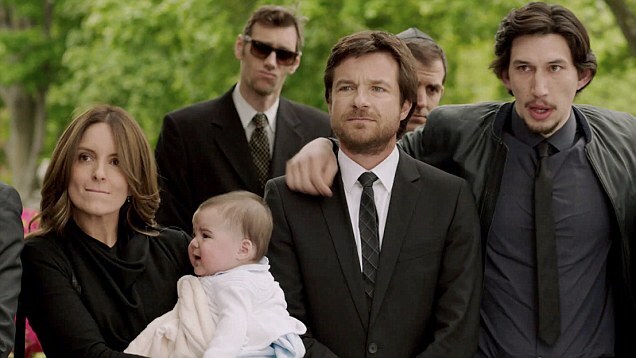 We talked about earlier this year, where you worked with Ethan Hawke and Chris O’Dowd. What was it like working alongside Mark, Octavia, Tig, and Isabela and all of the actors in this film? Rose Byrne: I’m such a goofy fan of Octavia Spencer, so I was like, oh my god, so excited when she came to set. I was like, “I can’t tell you how many times you’ve made me cry in a film, in a theater, in a movie theater, or laugh.” She’s just genuinely like, beloved, you know. I just adore her, and she was the nicest, she’s so funny and just adorable. Just cool, you know? And Tig was just brilliant, she’s such an interesting person, and it was so great to see her in this dramatic role, and she’s so funny, cause she’s like “I’m an imposter,” she identifies only as a stand-up, but they had such great chemistry. Those two were really fun, and I really loved working with those two. And Mark is so disciplined and inspiring, and he’s like a machine. He works out, he manages his family, and he’d be at military bases on the weekends talking to troops plus opening restaurants. He doesn’t stop. But when he’s with you, he’s with you 150%. And he’s had an incredible career, and he’s worked with amazing directors. I’m a huge fan of his films, obviously Boogie Nights, and the Daddy’s Home films, so he does a lot of different stuff. He’s beloved. He’s kind of a quintessential American movie star, and I think people just really respond to him, so it’s great that he’s in this. Hopefully, it’ll make more people come, and make the whole film a lot more familiar in a way. Scott Menzel: Yeah. I mean, don’t sell yourself short, you’re amazing, Rose. I mean, come on, Spy, The Meddler, and the list goes on. Scott Menzel: You’re just so good, and you’re so charming, and I love that you keep taking on different roles, so I appreciate you taking the time out to talk to me today. I hope you have a wonderful day, and I hope you got to hear a lot of the inspirational stories and inspiring stuff. Rose Byrne: Thanks. And congrats on your family, that’s amazing. I’m so pleased that you felt moved by the movie, that’s an incredible seal of approval for us. Scott Menzel: Well, that’s wonderful. And I will try my best to spread the word as much as possible. Thank you so much again. Rose Byrne: I appreciate that so much. Thank you again, bye.